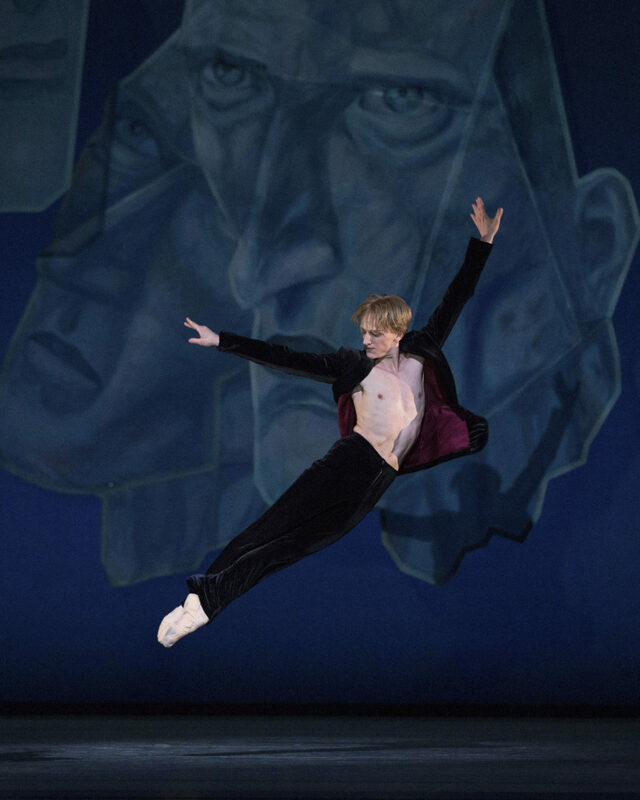 Born in Rapid City, South Dakota, David Hallberg began his formal ballet training at 13 with Kee Juan Han at the Arizona Ballet School in Phoenix where he studied intensively for four years. In 1999, he was accepted into the Paris Opera Ballet School where he continued his classical studies under the direction of Claude Bessy, Jacques Namont and Gilbert Meyer. Hallberg attended American Ballet Theatre’s New York Summer Intensive in 1999 and 2000 and was an ABT National Training Scholar for both years. Hallberg joined ABT Studio Company in September 2000 and became a member of the corps de ballet of American Ballet Theatre in April 2001. 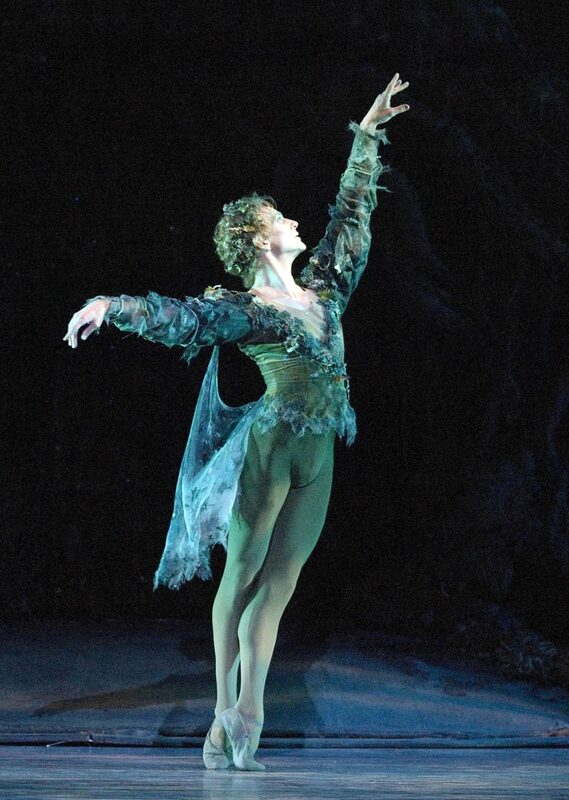 He was promoted to Soloist in January 2004 and to Principal Dancer in May 2006. His roles with the Company include the Boy in Afternoon of a Faun, the title role in Apollo, The Awakening Pas de Deux, Solor in La Bayadère, the Ballet Dancer in The Bright Stream, the Prince in Frederick Ashton’s Cinderella, Her Prince Charming in James Kudelka’s Cinderella, Conrad in Le Corsaire, Basilio and Espada in Don Quixote, Oberon in The Dream, the second sailor in Fancy Free, Albrecht in Giselle, Death in The Green Table, Pierrot in Harlequinade, Des Grieux in Lady of the Camellias, Beliaev in A Month in the Country, the Cavalier in Kevin McKenzie’s The Nutcracker, Onegin in Onegin, Othello in Othello, Other Dances, A Friend of the Family in Pillar of Fire, Bernard and Jean de Brienne in Raymonda, Romeo, Paris and Benvolio in Romeo and Juliet, Romeo in Romeo and Juliet (Romeo’s Farewell to Juliet), Prince Désiré in The Sleeping Beauty, Prince Siegfried, von Rothbart (Act III) and Benno in Swan Lake, James in La Sylphide, Aminta in Sylvia, the first movement in George Balanchine’s Symphony in C, The Awakening Pas de Deux and Tchaikovsky Pas de Deux. He has danced leading roles in Ballet Imperial, Ballo della Regina, The Brahms-Haydn Variations, Clear, Duo Concertant, Kaleidoscope, Meadow, Mozartiana, Seven Sonatas, Souvenir d’un lieu cher, Les Sylphides, Symphonic Variations and Theme and Variations and featured roles in Drink to Me Only With Thine Eyes, From Here On Out, Glow – Stop, Gong, In the Upper Room, Petite Mort, Overgrown Path, Pretty Good Year, Sinfonietta, Within You Without You: A Tribute to George Harrison and workwithinwork. 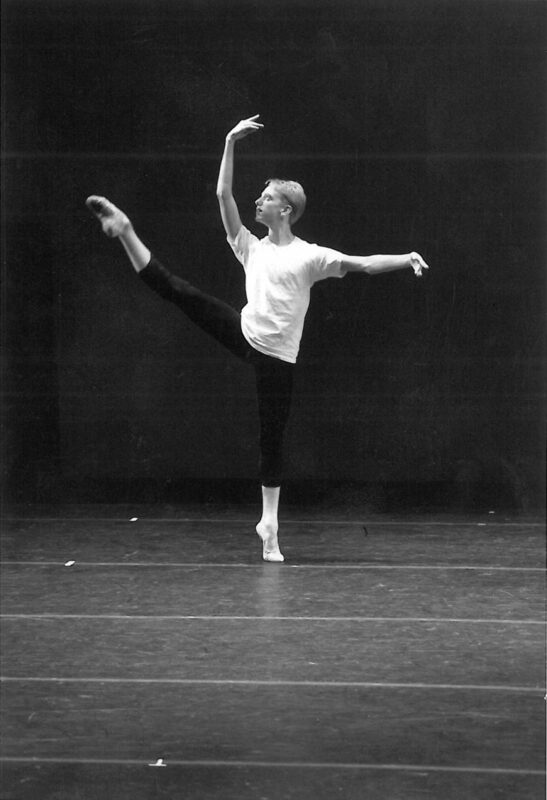 Hallberg created the title role in Robert Hill’s Dorian, Kaschei in Alexei Ratmansky’s Firebird, the Nutcracker Prince in Ratmansky’s The Nutcracker, Olga’s Fiancé in On the Dnieper, Prince Coffee in Whipped Cream, leading roles in Chamber Symphony, I Feel The Earth Move, Rabbit and Rogue and Thirteen Diversions and a featured role in Citizen. During the Autumns of 2008 and 2009, Hallberg was a member of Kings of The Dance, which toured Russia, Ukraine, Latvia and Estonia. His repertoire included Frederick Ashton’s Dance of the Blessed Spirits, Christopher Wheeldon’s Four 4, Nacho Duato’s Remanso and Roland Petit’s Proust pas de deux. Dance of the Blessed Spirits was originally created on Sir Anthony Dowell, who staged the ballet on Hallberg especially for this tour. Hallberg is the first dancer after Dowell to perform this work. Hallberg has been a guest artist with many companies including the Royal Swedish Ballet, Teatro Colon in Buenos Aires and the Kiev Ballet. He has danced at galas throughout the world from Japan to the Bolshoi Theatre in Moscow. Hallberg was a recipient of the Princess Grace Fellowship and the Chris Hellman Dance Award for 2002-2003. He received a nomination for the Benois de la Danse Award in 2006 and won the Benois de la Danse Award in 2010. David Hallberg joined the Bolshoi Ballet as a Premier Danseur in September 2011, the first American to join the company. In 2017, his memoir A Body of Work: Dancing to the Edge and Back was published by Touchstone. Mr. Hallberg’s performances with American Ballet Theatre are sponsored by Avery and Andrew F. Barth, and The Mathey Family. David Hallberg in Swan Lake. 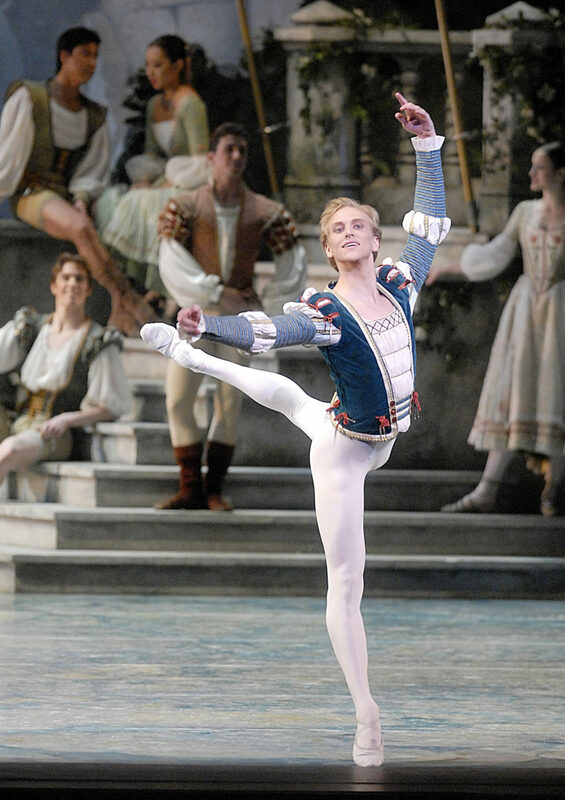 David Hallberg in La Bayadère. 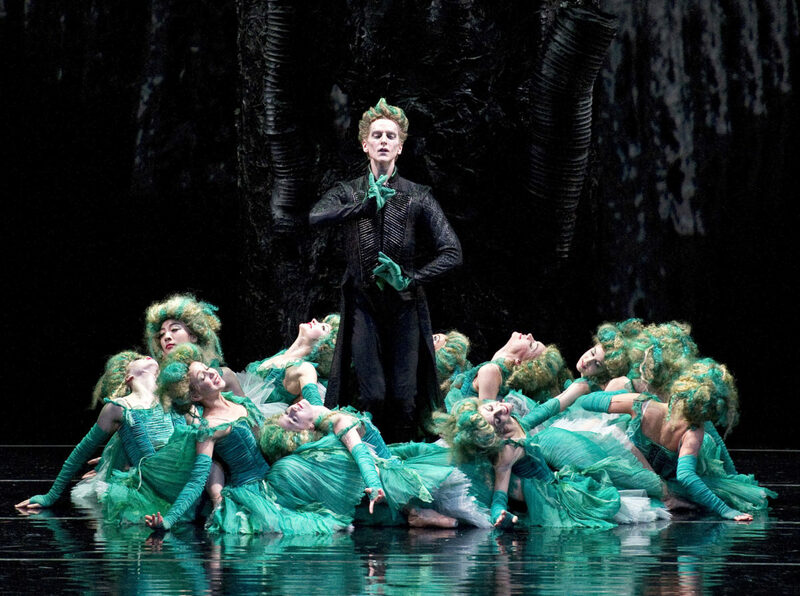 David Hallberg in The Dream. David Hallberg in Chamber Symphony.